GAMERZ LOOP is a new sports-centric immersive and interactive entertainment center. One of the largest indoor entertainments is now at the heart of the Central Bengaluru (Kamaraj Road, next to Commercial Street). All elements of fun - be it food, games or celebrations - are under one roof. 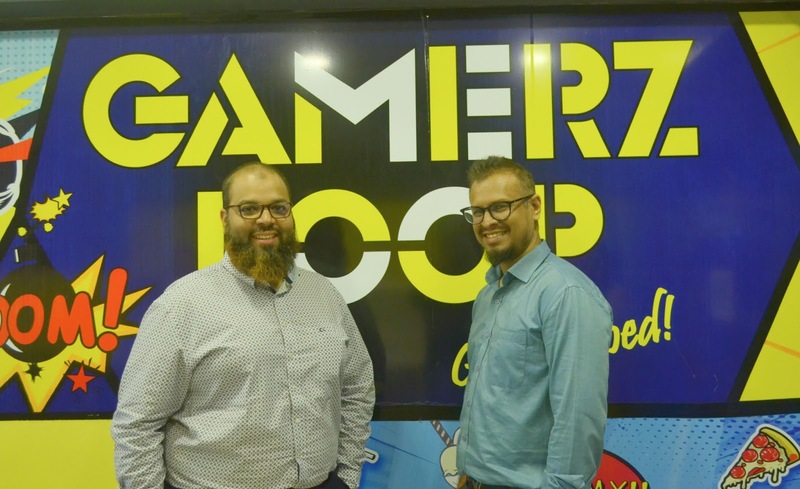 Offering fresh Virtual Reality experiences, glow-in-the-dark indoor paintball, indoor net cricket and so much, Gamerz Loop is now the absolute favourite fun destination for the shoppers in Commercial Street. What’s more, there are a host of delectable treats to savour at the Café Amore, which is the only A/C food court in Commercial Street, conveniently placed inside Gamerz Loop. With brands like Kapoor’s Café, Chicking, Gelato and more, Café Amore is where hungry shoppers come to fill up their appetite. If you feel hungry after all that gaming, you can enter I cafe called ‘Café Amore’ where you can expect to lose yourself in an eclectic menu. If you’re looking for an adrenaline-pumping celebration, will also accommodate up to 400 people for private events, team building activities, corporate outings and birthday parties. With special packages, it’s a great option for celebrations with a difference. Whether you want to improve your sports skills, spend an active weekend with friends or just unwind with the family, Gamerz Loop is a place that has it all. Gamerz Loop is ideal for all ages above 6 years. Teenagers, Couples and entire families are sure to have great fun. Gamerz Loop is also ideal for Corporate get-togethers, Team Outing, Team Building, Birthday Parties etc., considering that great food and fun are just a snap-of-a-finger away. Gamerz Loop has a beautifully designed Kid’s Zone that comes with a special go-kart zone where kids can try their hands at driving. Professional care managers are available to keep an eye on the high-spirited lot! Syed Khaleel, Founder of Gamerz Loop Said “ Gamerz loop is a one of kind experience centre for families and friends to have a memorable and shared experiences whilst using technology to bring them together. Our experience is all about mind and body where customers interact within the virtual environment as one of a kind with basic to extreme experiences. We do this in various ways with 25 of our attractions with quality entertainment in mind and diverse special events and attractions. Our guest also visit the food court expecting friendliness, cleanliness, service with quality and fun right in commercial street. At gamerz loop we take pride in serving our guest with pomp and galore”. Gamerz loop is committed to create wholesome and awesome experiences. We are one of its kind family entertainment centre because we provide thrilling to light hearted yet distinctive experiences for our guest irrespective of age groups. Gamerz loop has changed the way people celebrate birthdays and parties because at gamerz loop every guest is special and adorable hence we make every moment memorable too. We can provide amazing birthday or get together experiences for as low as Inr 15000/- for 3 hours with games. We have party halls right at commercial street cross roads that can accommodate around 400 people. We invite one and all to come and experience us. Whether you’re a PS-4 obsessed gamer or just somebody looking for a nice play to hang out with their friends, Gamerz Loop is clearly the next place in your bucket list.